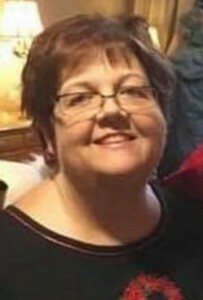 Becky Lynn Barger Mullen, 57, of Concord, formerly of Felicity, Ohio, passed away Tuesday, February 12, 2019, at University Hospital in Cincinnati, Ohio. Survivors include her husband, Bill Mullen; Aunt Angie Garrett, Dustin Garrett, Uncle Luther Walker, Vanessa and Dale May, Bryon and Becky Walker, James and Patty Rouse, Jimmy Rouse and Aiden Rouse; brother-in-law, Pat Mullen and family; numerous Barger cousins and family; and numerous cousins, other family and friends. She was preceded in death by her parents, Farmer and Betty Clark Barger. She was a member of Clermont Eastern Star #102 and Sand Hill Christian Church. Eastern Star services will be at Felicity Christian Church, 847 St Rt 133, Felicity, Ohio, 45120, on Saturday, February 16, 2019 at Noon with funeral services to follow. Visitation will also be Saturday, February 16, 2019, from 10:00 a.m. to Noon at the church. Arrangements by the Charles H. McIntyre Funeral Home, 323 Union St., Felicity, Ohio 45120. Memorials may be made to: Sand Hill Christian Church, 488 Ky 57, Vanceburg, Kentucky, 41179.